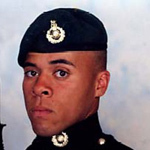 Marine Nicholas Bailey was serving with Comacchio Group RM at the time of his death. 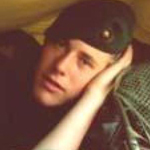 Marine Benet Blakeway, HQ 3 Commando Brigade, died during operations in Cyprus. He, and QMS Alfred Wheeler, both perished from exposure on anti-terrorist operations after their vehicle fell into a deep gully in the Troodos Mountains during a blizzard . 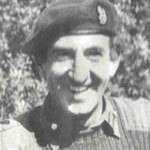 Musician Graham Chivers, HQ, 3 Commando Bde RM, died in Malta. Corporal Vivian Collier was serving at HQ 3 Commando Bde. RM at the time of his death. 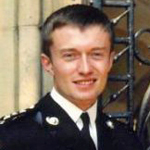 Sergeant Thomas Collings was awarded the MM for his actions during operations on the Falkland Islands. 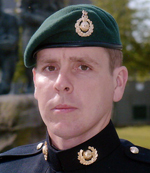 Marine James Dakers, HQ, 3 Commando Bde., RM Signals Squadron  , died in a road traffic collision in Perth . Corporal Ivor Davis was attached to HQ 3 Commando Bde. RM at the time of his death. Marine Stevan Dickinson was attached to the 3rd Raiding Squadron RM at the time of his death. 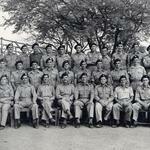 Served with 42 Commando in Malaya in the 1950's and was later the Brigade Major, HQ 3 Commando Brigade RM in Sarawak. In 1969 he commanded 45 Commando RM *. 1 January 1965 (Major) appointed O.B.E. .
18 February 1974 (Brigadier) appointed an Aide-de-Camp to The Queen . 11 June 1977 (Major General) appointed C.B. .
7 April 1978 (Major General) to retired list . 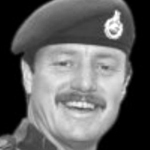 Corporal Ian Foxall was attached to HQ 3 Commando Brigade RM at the time of his death. 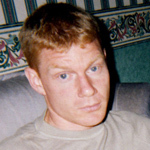 Corporal Robert Gardner was attached to HQ 3 Commando Bde. RM at the time of his death. Acting Corporal Edward Gouge was awarded the MM for gallant and distinguished service with 3 Commando Brigade, Royal Marines in Malaya during the period 1st January to 30th June, 1952. Lieutenant Fraser Haddow, 3 Cdo. Bde R.M., Mountain and Arctic Warfare Cadre (M&AWC), received a Mention in Despatches in recognition of his service in operations on the Falkland Islands. Marine Paul Hill was attached to HQ, 3 Commando Bde. RM, at the time of his death. Lieutenant Denis Hiscock was serving with HQ, 3 Commando Brigade RM at the time of his death. 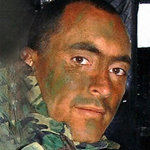 Sergeant Robert Hodson died in a helicopter crash at Beacon Hill, Woodhouse Eaves, near Loughborough, Leicestershire. 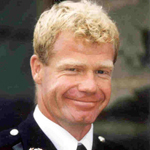 Colour Sergeant David Justice died of natural causes. 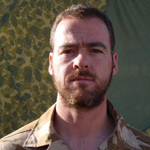 As a vehicle mechanic he had served with most of the commando groups in the UK, including exercises and operations in Croatia, Germany, Norway, Northern Ireland, and Iraq. Marine Rexley Lee died in an accident whilst deployed to Hong Kong. Lieutenant Andrew Macdonald, HQ, 3 Commando Bde. RM, died during a joint training exercise in Northern Scotland. He was on board a helicopter operating from HMS Intrepid when it crashed. Also killed were Lieut. David Dunn and Lieut. Paul Farley. 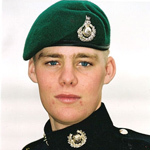 Marine William Masters, HQ 3 Commando Brigade RM, died in a road traffic accident in Egypt. Sgt. Donald Davies also died on this date in a traffic accident and is also buried at Moascar. Colour Sergeant Frederick McCarthy was serving at HQ 3 Commando Bde.RM at the time of his death. Marine Glenn Miller was killed in an accident during a live mortar firing training exercise on Otterburn Ranges, Northumberland. Also killed were Mne. Anthony Helstrip and Mne. Peter Butchers. 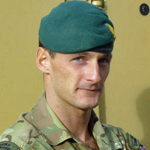 Marine Charles Muir was serving with HQ 3 Commando Bde. RM at the time of his death. Lieutenant John Nutt, 3 Commando Brigade HQ, died in a plane crash near Marseilles. He was aboard Dakota, KN557 of No 271 Sqn. RAF. Apparently the aircraft's position was fixed incorrectly and the pilot was given a wrong course to steer. The aircraft struck high ground at 1000 feet in poor weather conditions. Captain Nicholas Pounds, a Gazelle Helicopter RM pilot and Officer Commanding 'M' Flight during Operation Corporate, received a Mention in Despatches in recognition of his leadership, gallantry, and flying skills, during operations on the Falkland Islands, and in support of 2 Para at Goose Green, between 21 May and 14 June 1982. Marine Thomas Puxty, S.B.S., died in an accident when coming out of the sea in a wet suit and grabbing hold of a high voltage cable as a result of which he was electrocuted. Sergeant Derek Reed, attached to 652 Squadron, Army Air Corps, was killed with three other NCOs, by a booby trap bomb, as they got into their car outside the Knock-na-Moe Hotel in Omagh. Warrant Officer 2 Adrian Robinson received a Mention in Despatches in recognition of his service during operations in the South Atlantic. Londo Gazette Supp. 49134, page 12843. Marine Alfred Searby, HQ 3 Commando Bde. RM, died in Hong Kong. He is buried in Hong Kong Cemetery, formerly known as HK Happy Valley Cemetery and HK Colonial Cemetery. 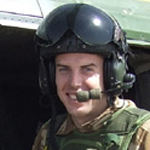 Lieutenant Peter Seymour died in a helicopter crash at Beacon Hill, Woodhouse Eaves, near Loughborough, Leicestershire. Sergeant Christopher Stone, 3 Cdo. Captain Terence David Thompson died during the 1976 Army Everest Expedition. An experienced mountaineer and climbing instructor he was killed in a crevasse accident on the mountain. The Thompson Trophy, donated by the RN and RM Mountaineering Club of which he was a member, is awarded annually to the best all round student on the Mountain Leaders Course at 45 Commando Group. Marine David Ward was serving with HQ 3 Commando Bde. RM at the time of his death. Read more about WARD, David, J.T. Sergeant Joseph Wassell was awarded the MM for his actions during operations on the Falkland Islands. Quartermaster Sergeant Alfred Wheeler, HQ 3 Commando Brigade, died during operations in Cyprus. He, and Mne. Benet Blakeway, both perished from exposure on anti-terrorist operations after their vehicle fell into a deep gully in the Troodos Mountains during a blizzard . Marine Joseph Windall died following the crash of a RAF Nimrod MR2 aircraft in Afghanistan. 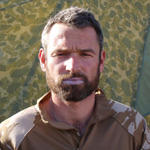 He joined the Royal Marines in November 2002, completing his training in June 2003. After a short period of time working at RM Stonehouse, Plymouth, he successfully completed a Signaller Class 3 course enabling him to be employed as a communicator in all parts of the Corps. Since completing this course Marine Windall had been busy deploying all around the world for training exercises and operational tours. [Sources: AFM ROH / MOD]. Colour Sergeant Everett Young, 3 Cdo. Bde R.M., Mountain and Arctic Warfare Cadre (M&AWC), received a Mention in Despatches in recognition of his service in operations on the Falkland Islands, during the period 20 May - 17 June 1982. He was the commander of a 4 man team working in observation posts well beyond the forward limit of British troops for protracted periods under extremely adverse weather conditions. Corporal Terence Young, HQ, 3 Commando Bde. RM, died in service and is buried in Malta.